Has your home been tested for radon? If you live in North Dakota, it’s important that you know the levels of radon in your home. January has been named National Radon Action Month by the EPA to help educate people on the dangers of radon and how to address unsafe levels in their homes. Your family’s health is depending on it, so read on to learn why testing your home for radon is a must. 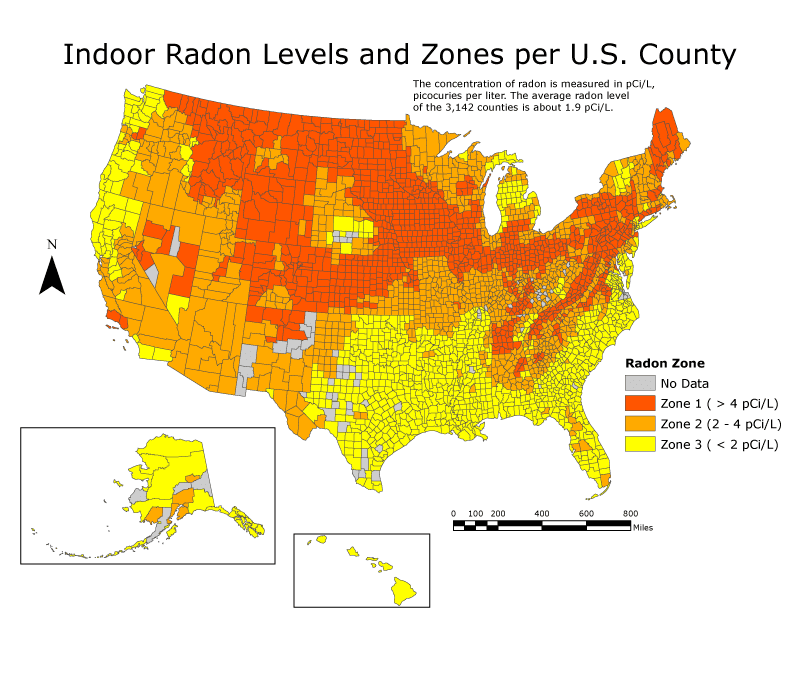 All of the counties in North Dakota are labeled Zone 1 for levels of radon by the EPA. This means that every home should be tested, no matter if you are just moving in or have lived there for years. The soil in our area has higher levels of uranium, which breaks down and causes radon gas. The invisible gas can permeate through the foundation of a home and exist within the home without anyone knowing it’s there. Radon is a carcinogen and is the second greatest cause of lung cancer after cigarette smoke. There are direct correlations between lung cancer cases and prolonged exposure to high levels of radon. Living with radon in your home is a dangerous way to live and an unsafe environment for raising a family. Because radon has no color, smell, or taste, it is impossible to know how much radon exists in your home without testing your home for radon. You could be living with it for years and not know about it until you get sick. The peace of mind you can achieve from testing your home for radon is worth far more than the service itself. Fortunately, if unsafe levels of radon are detected, you do not need to move out of your house. There are several different mitigation strategies available and you can decide which one best fits your specific situation by contacting a radon mitigation professional. Home Guard Inspections offers radon testing to Bismarck-Mandan and the surrounding communities. If you haven’t had your home tested for radon yet, contact us today!